Generally an hour-and-a-half grocery trip is doable. However, my four-hour treks a la The Lord of the Rings (thank you, unreliable buses) had me looking for a new solution. Once I discovered the existence of online grocery shopping, I rushed to give Instacart‘s 14-day free trial period a shot. Instacart costs $99 a year and offers free delivery to its members when orders total $35 or more. Fifteen shopping trips later, I no longer suffer from aching shoulders or soggy brownie mixes. It’s safe to say that I’m hooked–next week’s grocery cart is already underway. Instacart gives its Berkeley shoppers four store choices: Safeway, Berkeley Bowl, Whole Foods or Costco; as well as the local farmers’ market on Tuesdays, Thursdays and Saturdays. Each store is organized into straightforward “aisles,” or you can also use the handy search bar to find your product directly. While the shopping experience is standard, the checkout process is a little more complicated than your average line at the cashier or self-service machine. 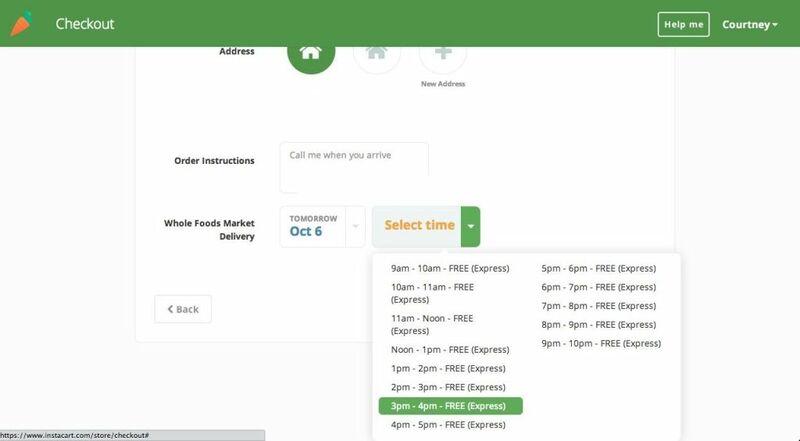 Instacart offers many delivery times–anytime from within the next hour (with extra charge) to the next day. After choosing a time, customers then select potential replacements for out-of-stock items. You can agree to the pre-selected replacement, choose a different replacement or opt out of the replacement altogether. If replacements have to be made, your shopper will call to confirm them. Should the pre-selected replacement be unavailable, Instacart will get in touch about an alternate. This means that if the Ben & Jerry’s Milk & Cookies replacement (for your original Ben & Jerry’s Chocolate Nougat Crunch) also isn’t available, don’t worry. Your shopper will call to apologize for the inconvenience and offer to read off the flavors the store does have that day. 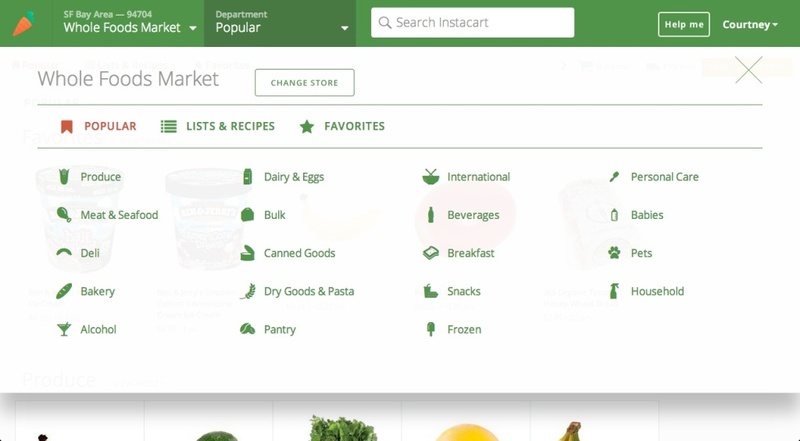 Instacart updates its customers via text and provides both shopping and delivery times online. Upon arrival, your shopper will call you again. My Instacart shoppers have always been very patient, their cars parked by my gate, their reusable bags sitting faithfully by their sides. 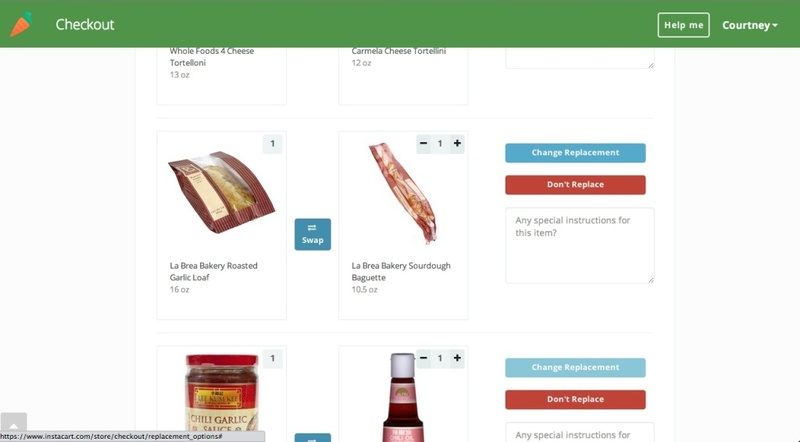 Instacart’s service was so simple that it won me over before I even received my first order. I actually hoped that my groceries would live up to expectations because everything else–the attention to detail in the shopping, the ordering and the delivering–worked so well, even with my high standards. 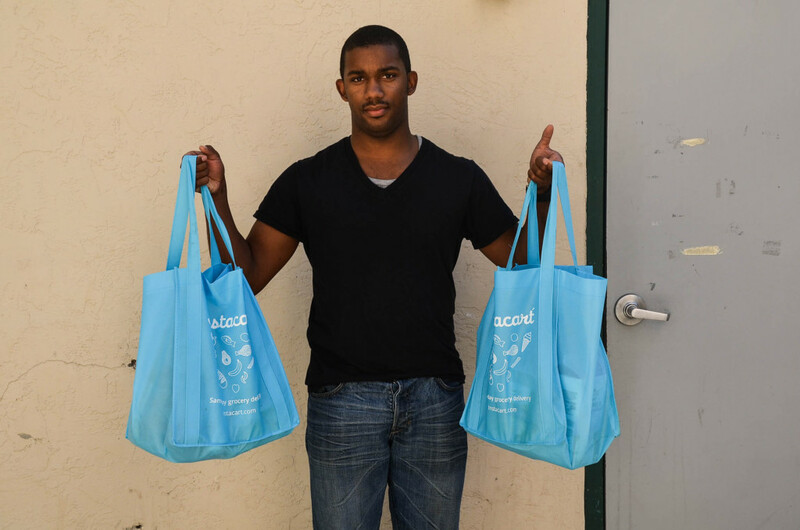 As luck–or a well-designed grocery delivery service–would have it, I was very pleased. Fear not, picky produce pickers–your groceries are in good hands. Over the past four months, I have always been satisfied with my un-bruised produce and soft loaves of bread. Instacart consistently makes my life more efficient and keeps my eating habits healthy. 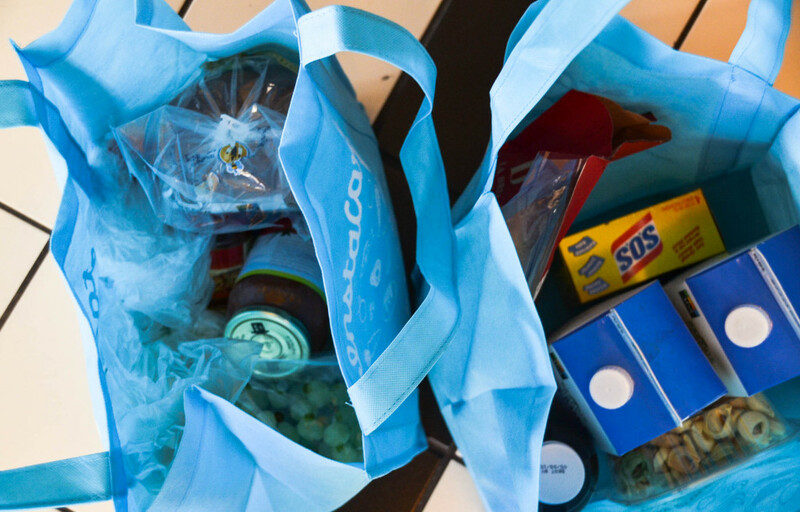 If you’re still struggling with untimely bus schedules, sign up for Instacart. You’ll get the good food you want, delivered straight to your door without sacrificing your study hours. Perhaps, you will end up getting Ben & Jerry’s Candy Bar Pie instead of that Chocolate Nougat Crunch you’ve been craving, but at the price of just $1.90 a week (yep, we did the math for you! ), this grocery delivery service is definitely worth it.